Key Verse: Verse 18 – "But grow in grace, and in the knowledge of our Lord and Saviour Jesus Christ. To him be glory both now and for ever. Amen." One of the signs of maturity is the ability to disagree without becoming disagreeable. What does it mean to be grown up? It means such things as being fully developed, having marks of wisdom, not just knowledge; the self-discipline and commitment of an authentic walk with Christ seven days a week; the determination to obey God and to submit to the truth of His Word at any cost; the ability to nourish myself as an individual believer in God's Word; the compassion to reach out and care for other people whose needs are different from my own; the willingness to share in the responsibilities of the household—all of the above with an attitude of a contagious, positive spirit. 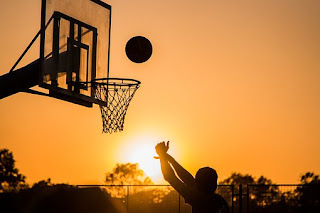 We're not unlike the thirteen-year-old kid that's six feet, ten inches in junior high school, whose dad says to him one day, "Son, I think you maybe ought to think about basketball." He has the height for it, but there's not a person who would question his lack of maturity for it. Put him on the same court with Lebron James and he'd get his lunch eaten. James loves that kind of person on the court with him. Why? Not because the kid can't match him in height, but he hasn't the resiliency. He hasn't the maturity. He needs to do what? He needs to grow up. Even if he never grows another inch he has plenty of height to play in any pro basketball team. What he needs is to grow up. In closing, it’s important to remember that maturity proceeds through four stages: help me, tell me, show me, follow me. ✞ Evaluate where you are in the four stages of growth.